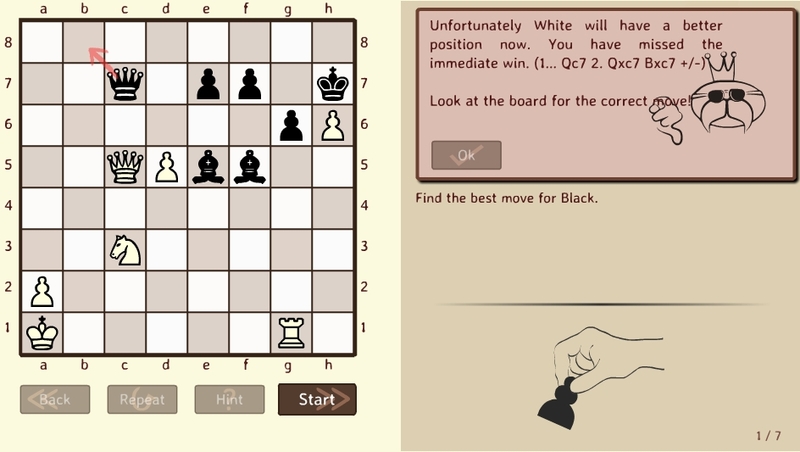 The Tactics Trainer menu can be found on the main page of LearningChess. You select the difficulty level first, then the tactics you would like to practise. Each difficulty level has a different set of tactics or you can choose mixed puzzles as well. Every training set consists of five puzzles. There is no time pressure as you have unlimited time to find the solution. The system evaluates your answer by providing appropriate feedback, and investigates alternative moves in the position. These features are unique to our Tactics Trainer. At the end of the exercise your scores and the time taken are displayed. If you receive an ‘achievement’, the new badge will also appear on the screen. 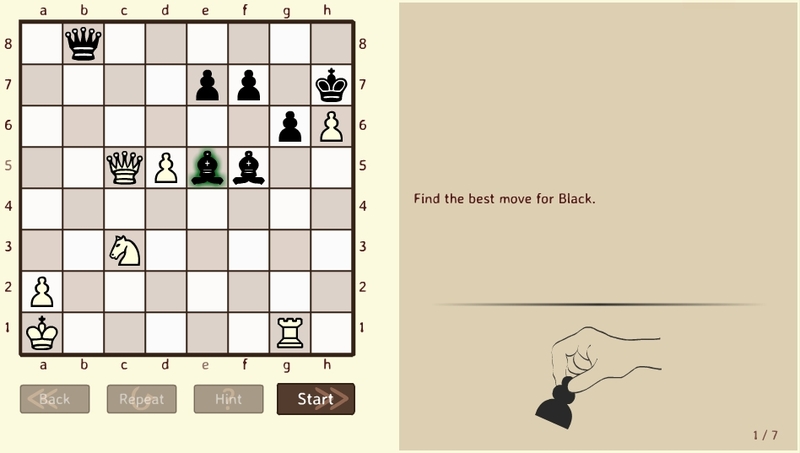 Have you ever tried to give mate with the rook instead of the queen in other puzzle systems? I suppose your answer was marked wrong. This could never happen in LearningChess, because we take care of all possible solutions. The feedback contains the evaluation of your answer as well as the best move in the given position. That is why you learn more chess with LearningChess Tactics Trainer than with any other puzzle system. Important: all of us know that there are positions where many winning solutions exist. We always give priority to the shortest mate, or the winning of significantly more material than in alternative solutions. If the queen- and underpromotions give the same outcome, we prefer the queen promotion. The right solution is Qb8-a7!, but if Black tries Qb8-c7?, he will get the message below with +/- evaluation instead of the correct answer -+ (Black wins). When you solve a puzzle, do you ever wonder what you would do if your opponent (the computer in this case) answers differently? This is of course the situation we face in every chess game we play, hence it is good idea to explore alternative replies. While other puzzle systems only give you a single line, we have changed this approach, and we ask you to find solutions for all relevant defending moves of the opponent. Let’ continue with the earlier example. 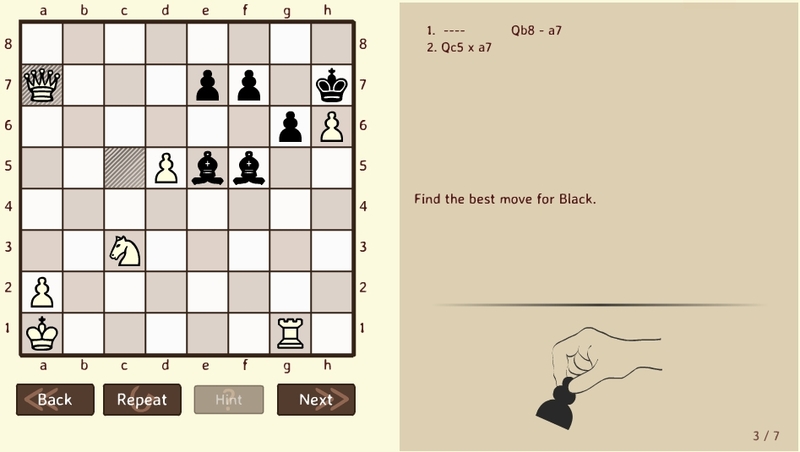 If Black moves Qb8-a7, White captures the queen, and you have to find the right answer, which is Be5xc3#. Instead of taking the queen White can answer differently with Qc5-b4 for example. You are asked to find the correct move again, which is Qa7xg1. Everybody wants to work at their own level and select puzzles that are in line with their chess experience. The puzzles are divided into five levels of difficulty, and each level contains different topics that are closely related to the study course. 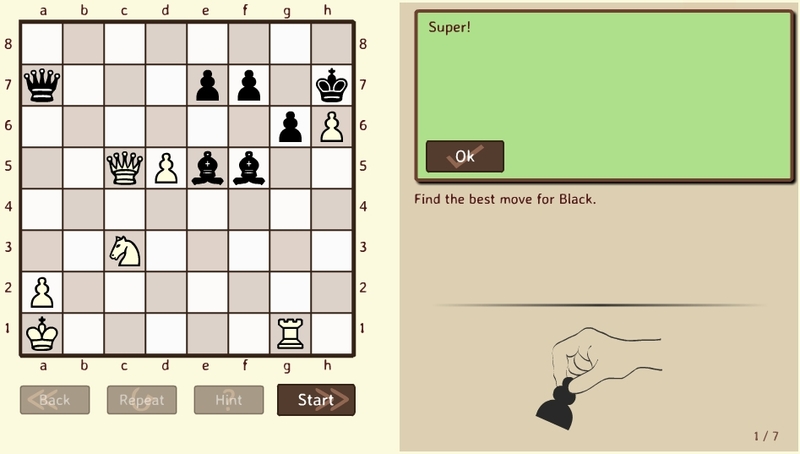 The Beginner level tasks are suitable for players who are just getting to know chess. 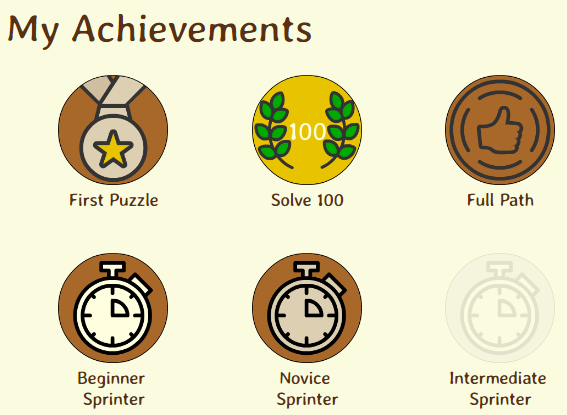 The Novice puzzles are suitable for students who have already completed over half of the Level 1 – Beginner Course. More difficult Pin and skewer, Deflection, Double attack, Discovered check, Discovered attack, Decoy, Clearance, Elimination, Overloaded pieces, Restriction, Blocking, Intermediate move, X-Ray attack, Endgame tactics. We recommend the Intermediate level problems for students of the Level 2 – Intermediate Course. Advanced Pin and skewer, Deflection, Double attack, Discovered check, Discovered attack, Decoy, Clearance, Elimination, Overloaded pieces, Restriction, Blocking, Intermediate move, X-Ray attack, Endgame tactics. The Advanced level tasks are best tackled by students of the Level 3 – Advanced Course. We offer only mixed puzzles here, where you can test all you have learnt in our three courses. Availability – is the LearningChess Tactics Trainer free? 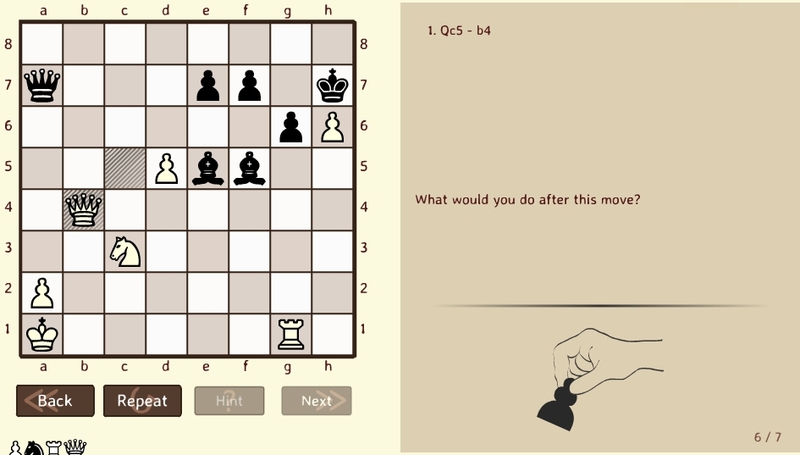 Chess fans around the world can solve unlimited mixed puzzles for free in LearningChess. Selection of the topics is open for premium users only. The goal of the Achievement System is to motivate our students to spend more time learning chess. Read more about it here. We strongly believe that solving one complex puzzle that explores the essence of one or more tactical ideas is superior to doing hundreds of simple puzzles without any depth. We offer a wide range of selected, carefully prepared puzzles focused on a specific topic. Currently we have 2,500 puzzles with around 10,000 moves to find. We add new puzzles to the database every month. Hi! I met yours site accidentally! My first opinion is BRAVO! Thanks very much for the great website!